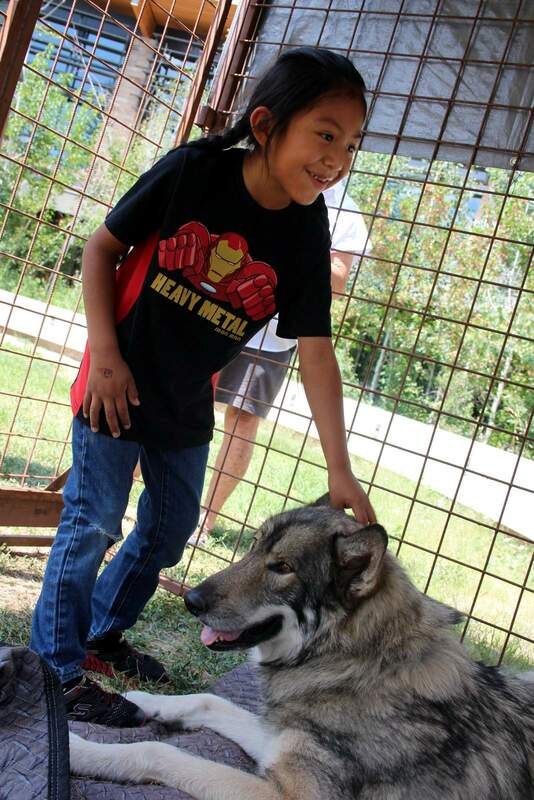 Joseph Howell pets Chaco, a wolf-dog hybrid, from Wolfwood Refuge. The refuge brought some wolves to the opening of ‘Living With Wolves’ last week at the Southern Ute Museum. 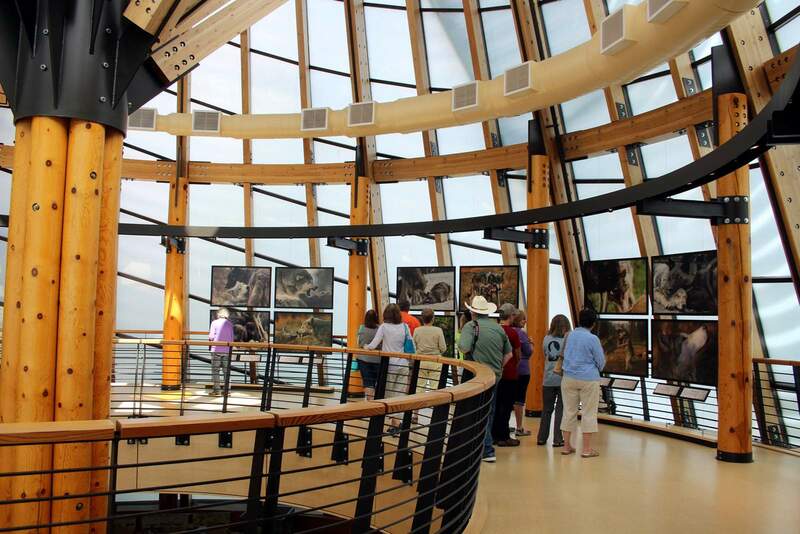 “Living with Wolves” is on display on two levels of the Southern Ute Museum through Nov. 30. 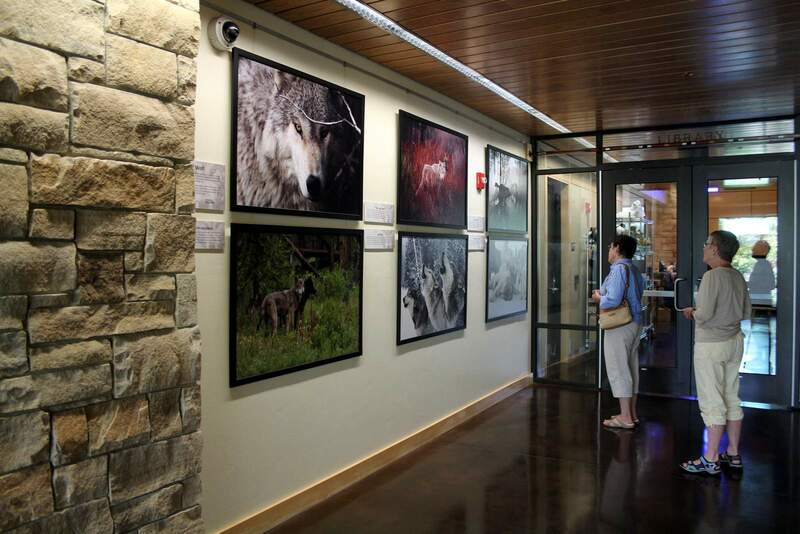 ‘Living With Wolves,’ a photo exhibit at the Southern Ute Museum, features 19 large-scale images detailing the lives of wolves, photographed by Jim and Jamie Dutcher. Wolves – both images of them and the live, furry kind – filled the Southern Ute Museum on Aug. 16. Ambassador animals from Wolfwood Refuge attended the opening reception and talk for “Living With Wolves,” which will be on display at the museum through Nov. 30. The display is part of the Rocky Mountain Wolf Project, which advocates for expanding wolves’ North American territory to Colorado’s Western Slope. There also are 500,000 head of cattle and 175,000 sheep in the area, she said. Wolves are responsible for one-hundredth of 1 percent of predation on livestock herds, she said. They also could help improve the elk population, which currently has 30 to 40 percent infection rates of chronic wasting disease. 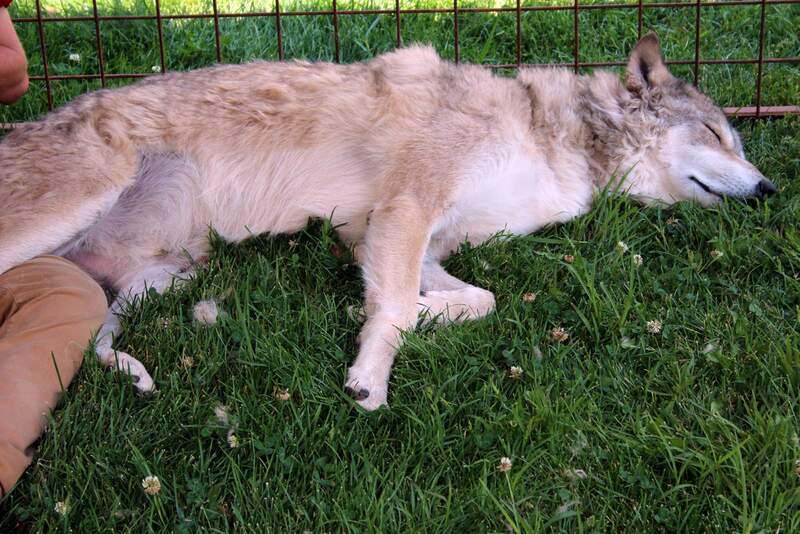 Because wolves attack sick and weaker animals, they could help improve overall herd health. Paula Watson, founder of Wolfwood Refuge, advised the 70 people attending the talk that wolves and wolf hybrids don’t make good pets. Wolfwood houses 53 animals, making it the largest wolf refuge in Colorado. Howling, pack behavior and the sheer size of the animals means they quickly outgrow backyards, and they have to be turned over to a refuge. About 60 groups visit the refuge every year, and volunteers are welcome, she added.